We don’t always have the time or money to visit our massage therapist on a regular basis. Self-massage techniques using therapeutic balls can be a great addition to your yoga practice by providing a therapeutic self-massage for your entire body. 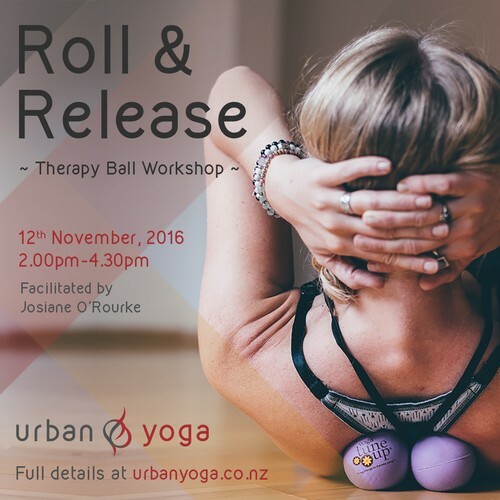 In this 2.5hr workshop led by Josie O’Rourke, you will learn various rolling and massaging techniques, including ways to release patterns of tension, activate better circulation throughout your body and discover an excellent way to take care of tangled muscles while working on those deep tissues. In leaving this workshop you feel both energised and relaxed from head to toe! Whether you’re a beginner student, a regular yoga practitioner or an athlete looking to compliment an active training program, this workshop is suitable for all levels.